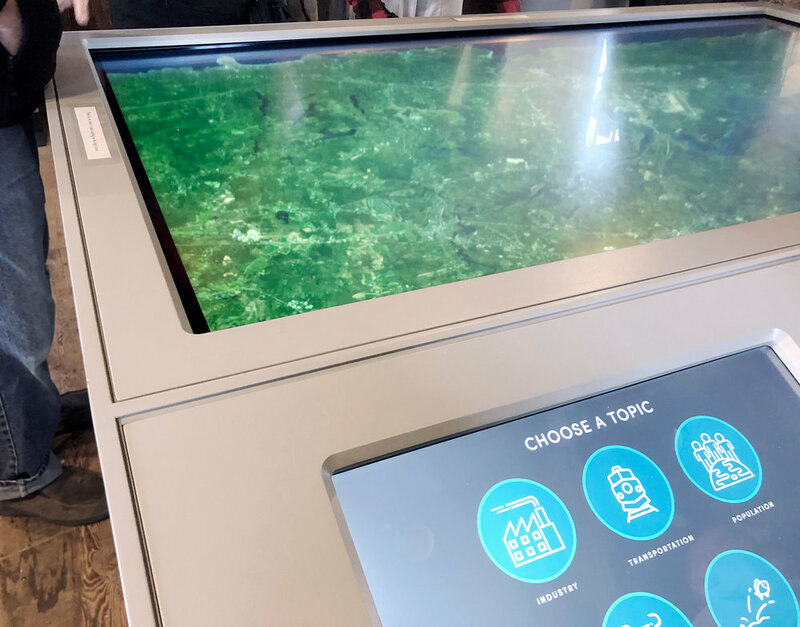 Custom touchscreen display for The Gundalow Company in Portsmouth, New Hampshire. 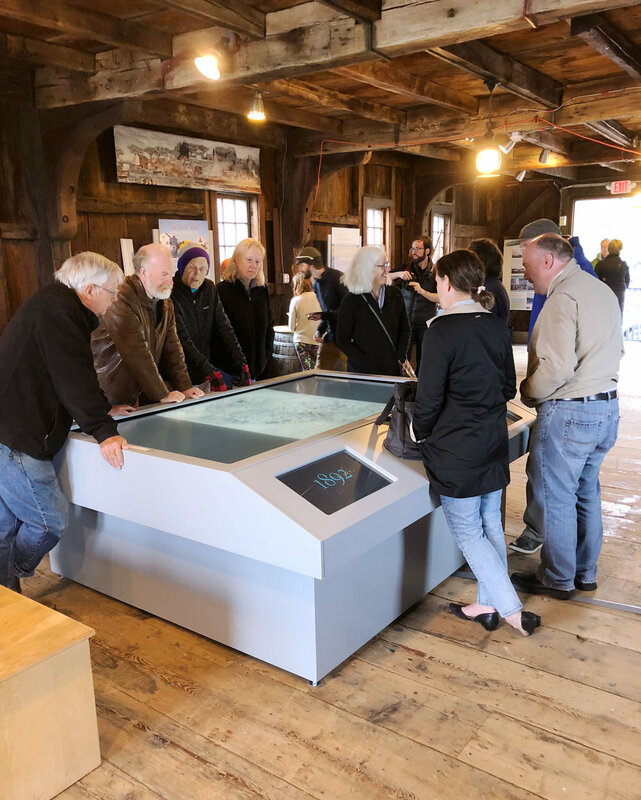 An interactive exhibit featured summer 2018 at the Gundalow Co. in Portsmouth, NH. This custom piece cradles and frames out a large center screen and 4 smaller touchscreens.